So, your child loves to cook or bake? We understand! We know that kids are more into cooking and baking than ever because they see kids on TV and Youtube who get to play around in the kitchen. We also understand that you may be nervous about your kids getting hurt or messing up your kitchen! At Cooking with Kids NY, we have been teaching the kids of Westchester, Putnam and the Bronx for years. We teach your kids valuable cooking skills they will need in life and we help them to gain confidence with new foods all while having a great time with their friends. Most kids love cooking with their friends, and having a cooking party is a really popular choice for parties these days! We are the perfect choice for your foodie kids (and adults), who love different cuisines and who love to cook and bake. 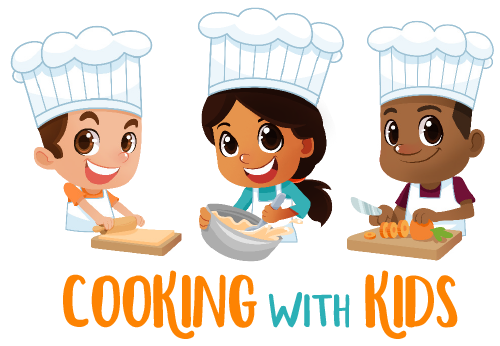 When you choose Cooking with Kids NY for your next party, you’ll be well-taken care of and your birthday child will feel excited to be the star of his/her own cooking dream and share the experience with friends. Decide if you’d like any add-ons like cupcake decorating ($10/child), gluten-free or dairy-free menu ($50), etc. Reserve your date with $200 deposit. We don’t provide birthday cake, and believe the birthday child should have a special dedicated birthday dessert other than what we make together. We have a list of recommended vendors if you’d like some inspiration.